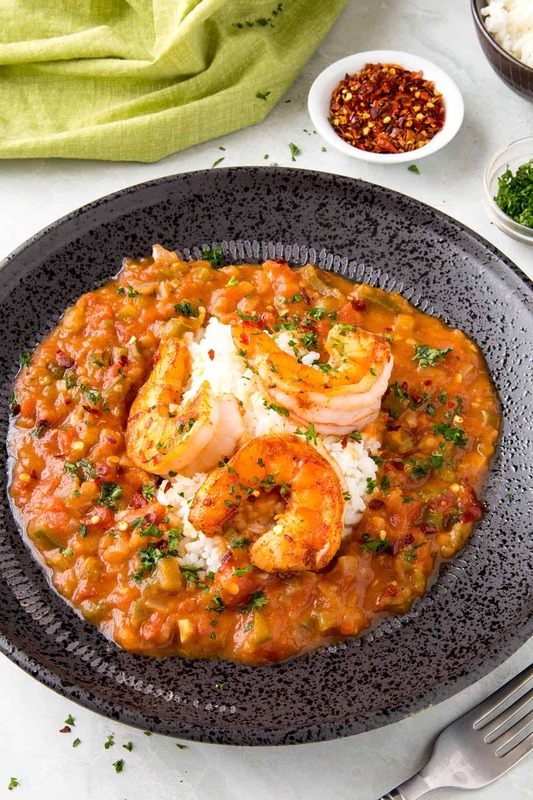 This shrimp etouffee recipe is pure Creole heaven with succulent shrimp smothered in a rich and flavorful tomato sauce with lots of seasonings, served over rice. Get ready for a great meal! 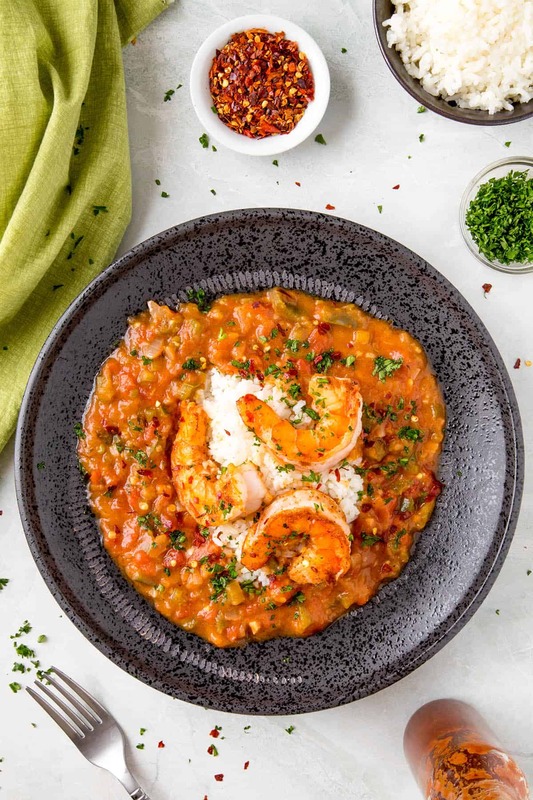 A bit like a classic gumbo recipe, shrimp etouffee offers up a wonderful creamy sauce made from the Cajun Holy Trinity of vegetables – bell peppers, celery and onion – thickened with a roux, much like a stew. 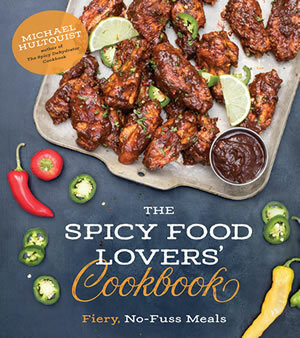 Bring in your favorite Creole Seasonings and you’ll develop a flavor that will definitely work its way into your heart. The shrimp can be sauteed then added to the dish, or you can cook them right into the sauce, which is more traditional. 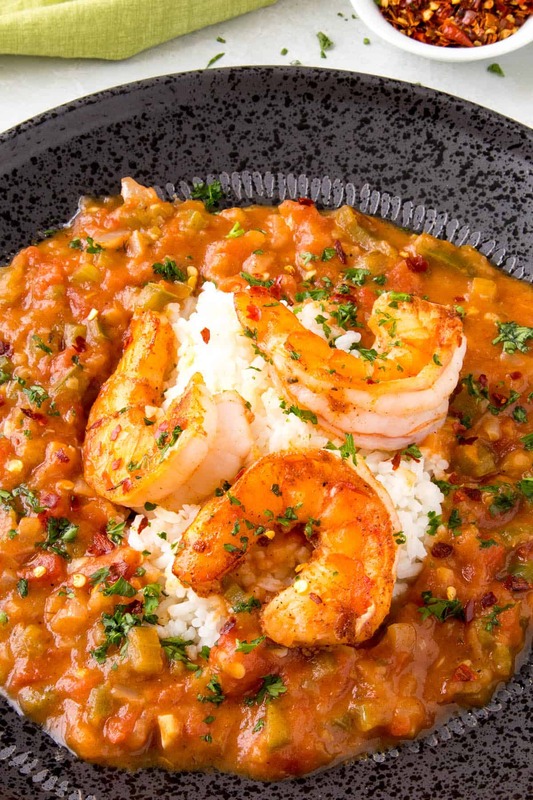 In fact, the very name “etouffee” means “to smother” in French, referring to smothering the shrimp within the sauce. First, we want to make a shrimp stock, which will enhance the seafood flavor of the dish. You can save time by using a store bought stock, or use chicken stock instead. I feel the homemade stock makes a big difference. 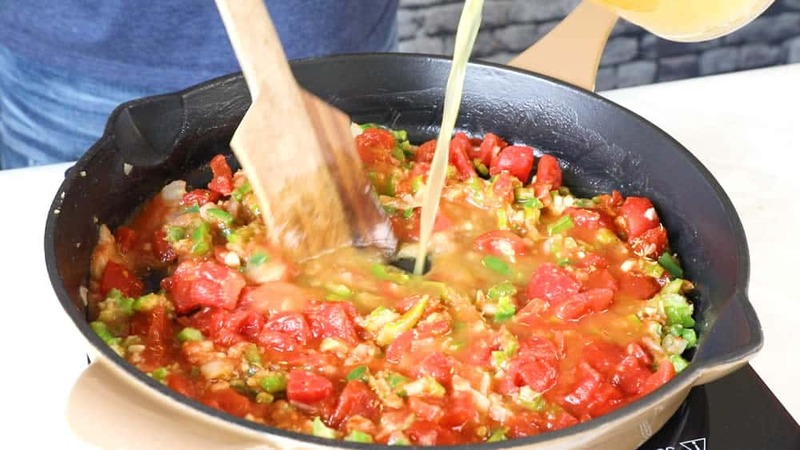 After you’ve chopped up your bell peppers, celery and onion, keep those leftover scraps to make the stock. Also, save the shells from your shrimp after peeling them. Heat a medium sized pot to medium heat and add 1 tablespoon olive oil. Add chopped onion and celery scraps along with the reserved shrimp shells. Cook them down about 5 minutes to soften. Add chicken stock. Bring to a boil, then reduce heat and simmer for 20 minutes to let the flavors mingle. 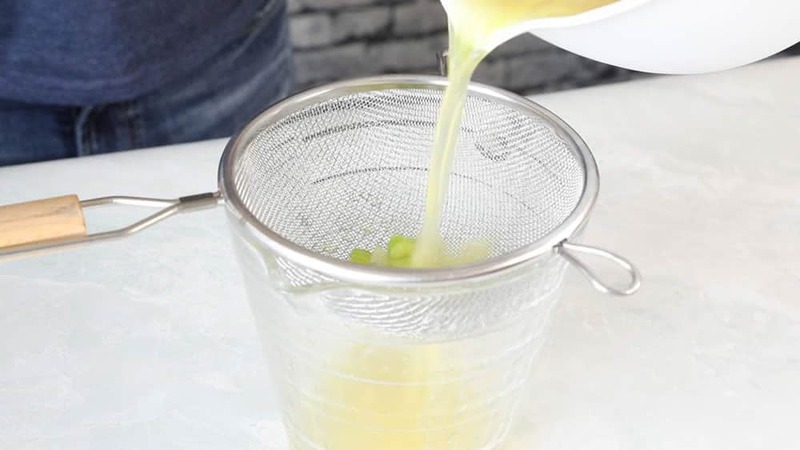 Strain the stock and discard the solids. Set aside for now. First, heat a separate pot or large pan to medium heat. A Dutch oven works great for this. Add 3 tablespoons peanut or vegetable oil along with 3 tablespoons flour. 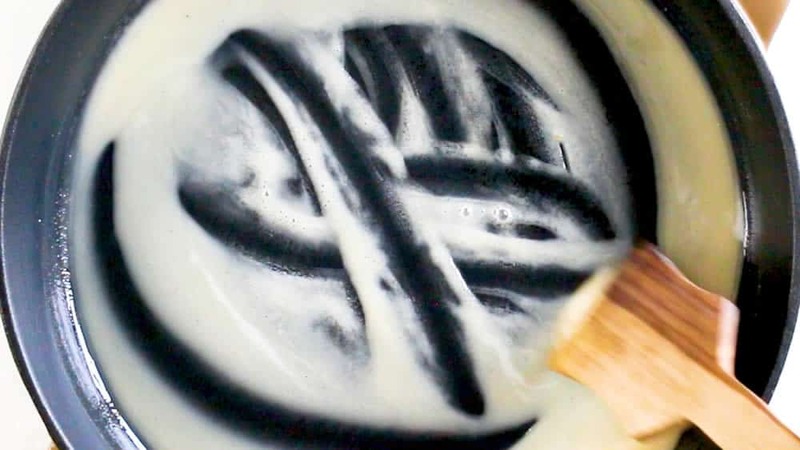 Stir to form a paste. This is your roux. Stir the roux continuously for 10-12 minutes, until it darkens to a light brown color. Do not stop stirring or the roux can burn. Add the peppers, onion and celery. Stir and cook it down for 5 minutes to soften. 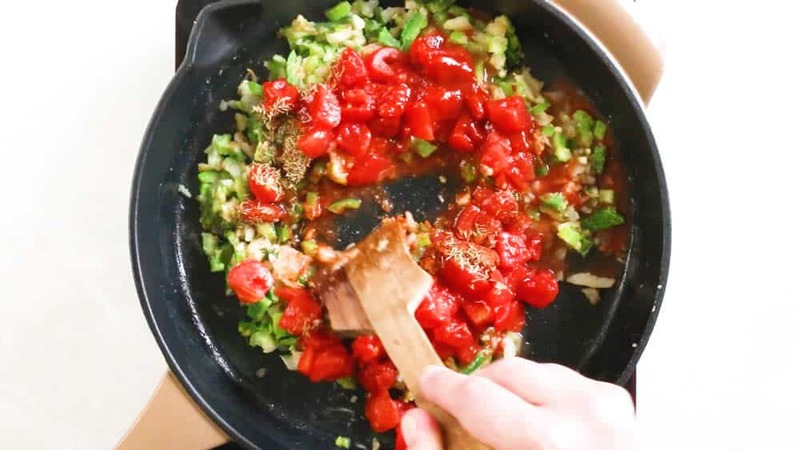 Add the garlic and diced tomatoes cook another minute. Stir in the reserved shrimp stock until it is all incorporated. Stir in 1 tablespoon Creole or Cajun seasonings, Worcestershire sauce, hot sauce, dried thyme, and a bit of salt and pepper to taste. I like to add in a bit of extra cayenne pepper for additional heat. Simmer at least 20 minutes to let the flavors mingle and develop. While the etouffee sauce is simmering, heat 1 tablespoon oil in a pan. Season the shrimp with 1 teaspoon Creole seasonings, then sear the shrimp a couple minutes per side, until they are cooked through. 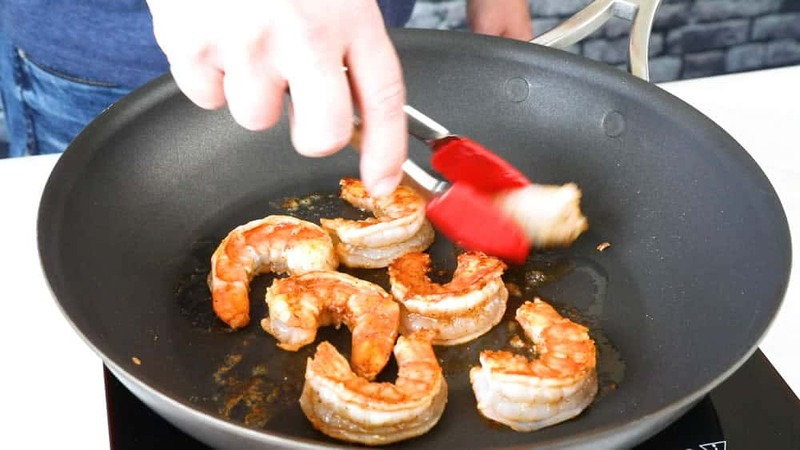 Alternatively, you can simply add the shrimp to the simmering sauce and let them cook in the sauce for 5 minutes, until they are cooked through. Add cooked white rice to plates. Spoon sauce over it. Top with shrimp. Garnish with fresh chopped parsley and spicy chili flakes. 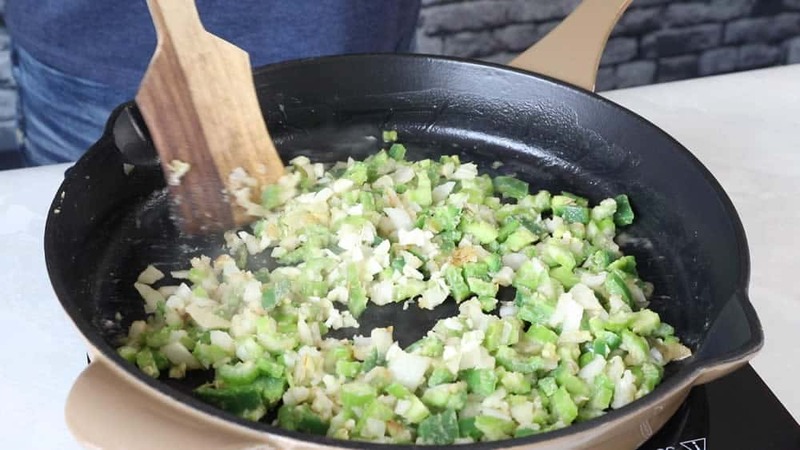 Green onions are nice, too. BOOM! DONE! I love this recipe. SO good. It makes me think of Mardi Gras in New Orleans. Comfort food at its finest. 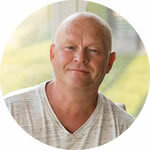 As mentioned, you can skip the step for making your own shrimp stock if you’d like to save time. Either use a store bought brand, or use readily available chicken stock. I used chicken stock to make my shrimp stock, as sort of a double whammy of flavor. 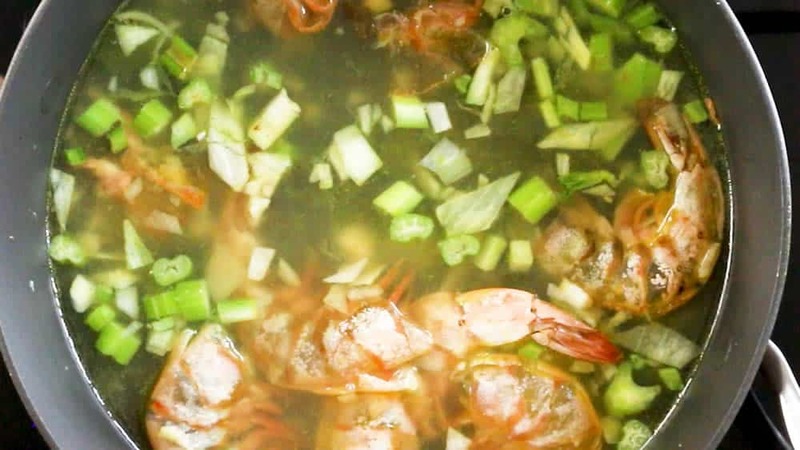 You can use water instead to make your shrimp stock. For the roux, 10-12 minutes is really all that is needed to make a light blonde roux. If you keep cooking and stirring, the roux will eventually darken to the color of copper, then chocolate, then dark chocolate. You can just cook it to the color you prefer. Tomatoes – Yes or No? 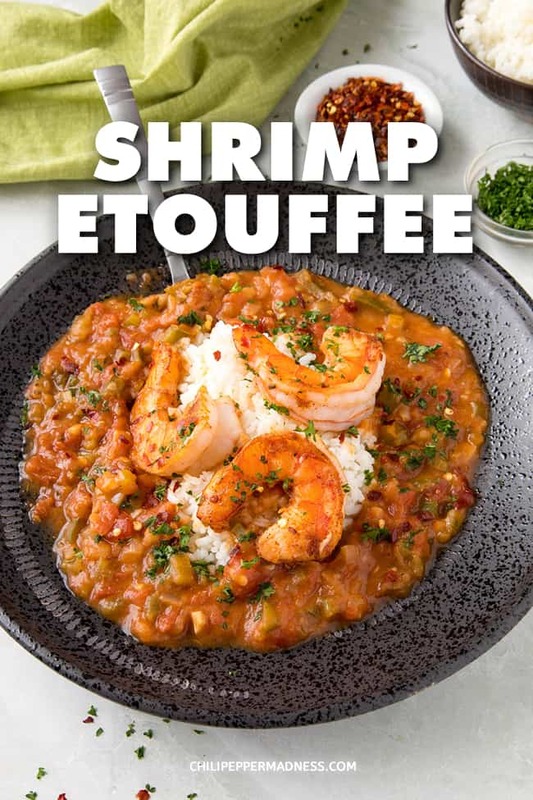 I’ve seen some discussions that say a true, classic “etouffee” should not include tomatoes. You can, of course, skip the tomatoes and just go with the gravy thickened by the roux. It will be delicious. I like it both ways. It’s the same thing with gumbo. If you want tomato? Go for it! If not, skip it. For the shrimp, you can easily just tuck the raw shrimp into the sauce and let them simmer a few minutes until they are cooked through. This is where the “smothering” part of the dish’s name comes in. I prefer a bit more snap to my shrimp, so I saute them instead and serve them over the top. Seafood Options. You can make this recipe with other types of seafood, as well as with chicken. 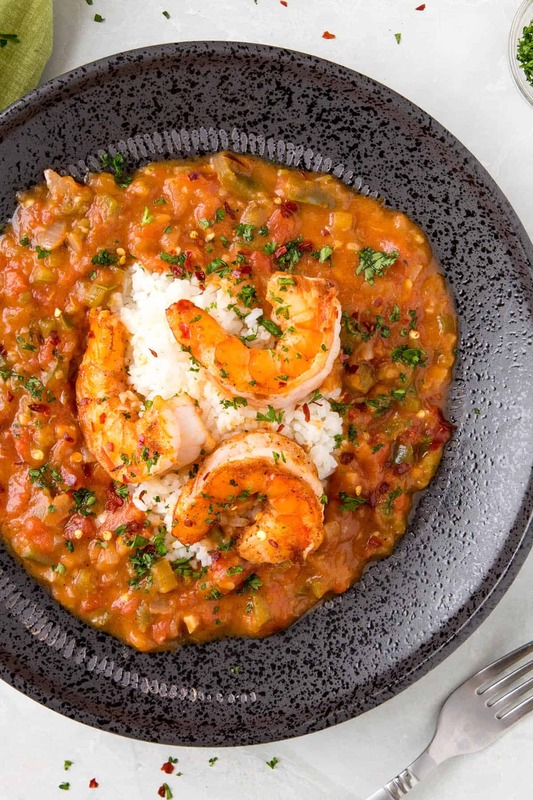 Chicken Etouffee is a real thing, luckily for us, as is Crawfish Etouffee. Feel free to use a mix of seafood. Outstanding! If you love this recipe, you’ll probably love a good gumbo as well. 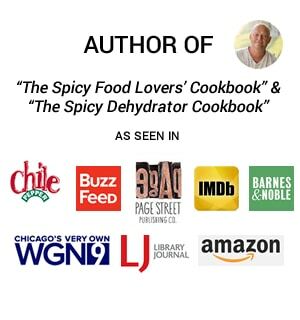 Check out my Guide on How to Make Gumbo to learn how to make it different ways, and also to learn more about the history and the roux. 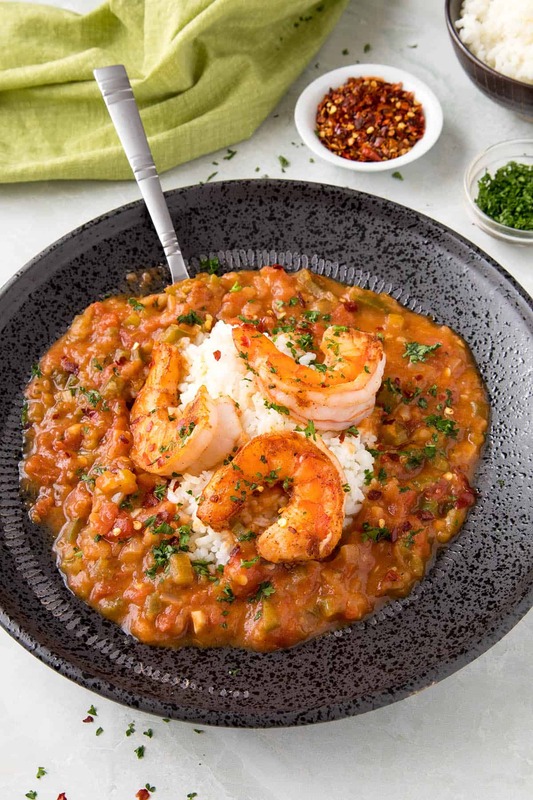 If you love gumbo, check out some of my favorite and popular gumbo recipes. Check out my Shrimp Creole Recipe, too. Very Cajun! Heat a medium sized pot to medium heat and add 1 tablespoon olive oil. 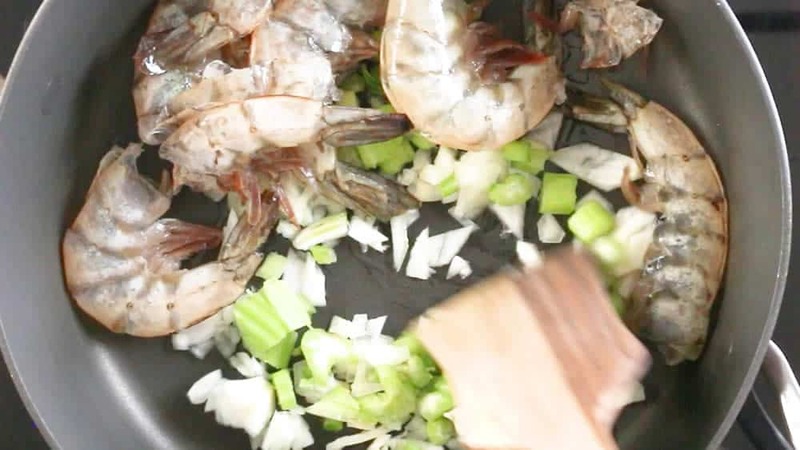 Add chopped onion and celery scraps along with reserved shrimp shells. Cook them down about 5 minutes to soften. Heat a separate pot or large pan to medium heat. Add 3 tablespoons peanut or vegetable oil along with 3 tablespoons flour. Stir to form a paste. This is your roux. Add the tomatoes and garlic and cook another minute. Stir in the reserved shrimp stock until it all incorporated. Stir in 1 tablespoon Creole or Cajun seasonings, Worcestershire, hot sauce, dried thyme, and a bit of salt and pepper to taste. While the etouffee is simmering, heat 1 tablespoon oil in a pan. Alternatively, you can simply add the shrimp to the simmering sauce and let it cook in the sauce for 5 minutes, until it is cooked through. Garnish with fresh chopped parsley and spicy chili flakes. SERVES 4 Heat Factor: Medium, or Medium-Hot, depending on your choice of hot sauce and spicy chili flakes. 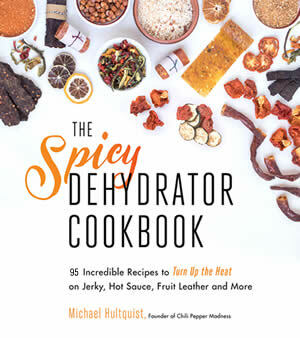 Some Cajun or Creole blends can be somewhat spicy. Calories are approximate and calculated without rice. Looks like a quite simple dish but I might try as the seasoning looks a little tricky but I might give it a try when I have the time! I hope you like it! It’s a classic. Good as it gets,,,,, just don’t get in a hurry an everyone will be happy happy! !